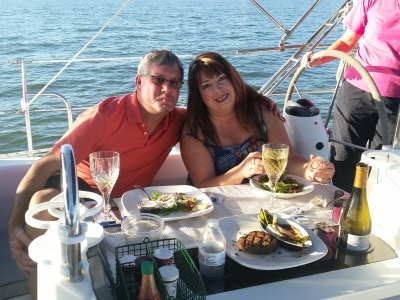 Enjoy a private & romantic Dinner Charter. Bring along that someone special or bring your friends and family. 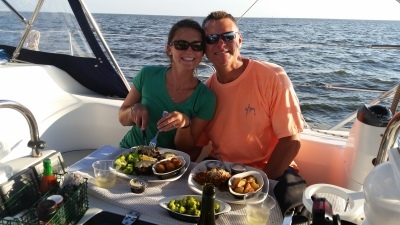 Gourmet meals for the Dinner Charters are catered by the Half Shell Oyster House of Gulfport . 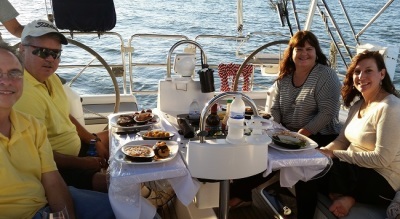 The cost of a Dinner Charter is a normal charter plus $35. The cost of the meals from the restaurant is added to the cost of the Dinner Charter and includes sales tax and a service charge. 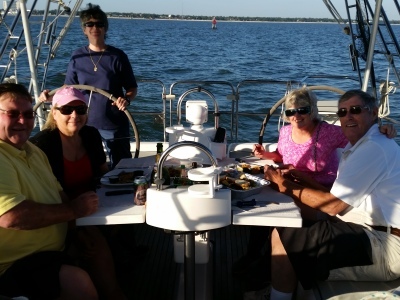 There is a maximum of 4 passengers allowed for Dinner Charters.